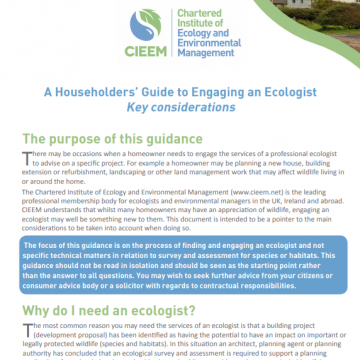 This document sets out broadly what is involved when a homeowner is required to submit an ecological survey as part of a planning application for a small-scale development. This guidance may be provided to homeowners in order to provide some background to the survey requirements and process. This document is not a guide to undertaking an ecological survey.